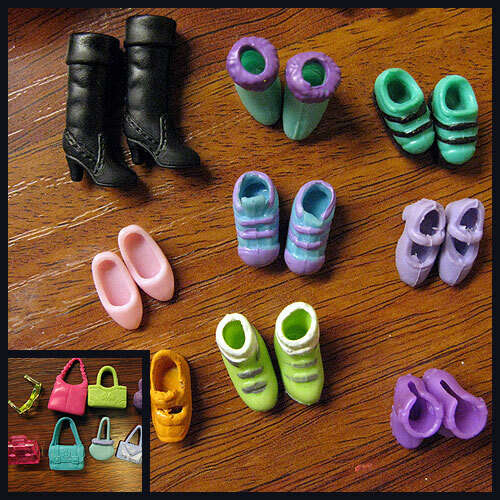 Tiny accessories for teensy simulacra, dosage mind these silicone shoelets and bagettes piled up in my daughter’s room until her obsession with Polly Pocket wore off and she tired of them and moved onto a new obsession. At some point, here she got it into her head that she could sell them on eBay. I think she’s more excited about selling something on eBay than making any money off them. She laid out a neat arrangement – I helped with the shoes – I shot the 14 dolls, 20 dresses, two shirt-and-pants sets (for the two boy dolls) and the tiny furniture, and next week when it’s art/music/internet night again, we’ll put it all up on eBay and see who bites.